You read correctly! 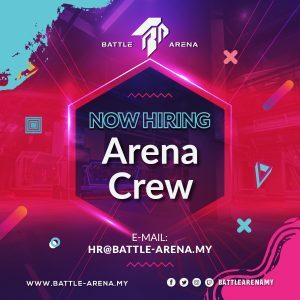 Battle Arena is now hiring! 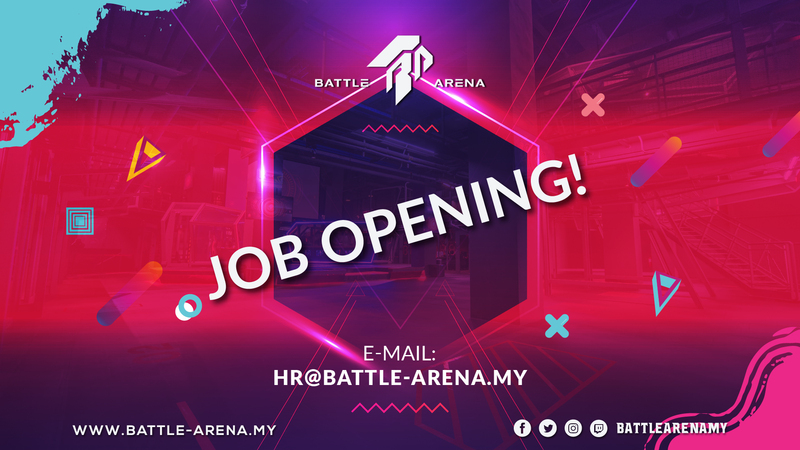 We’re looking for talented and capable individuals with a gripping passion for Esports, gaming and events to join us as a full-timer, part-timer or even interns. Don’t worry if you’re not well versed in Esports! We here at Battle Arena also do non-Esports type events as well. You can take this opportunity to learn and dive into the world of the gaming industry. Who knows, maybe you’ll pick up something amazing that might help you in the long run! Wanna be part of our family for an exciting career in esports? Don’t ask what we can offer, show us what you can do. 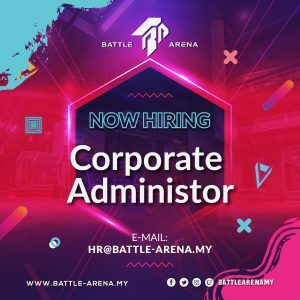 Send us your CV to hr@battle-arena.my with your recent photo!!! 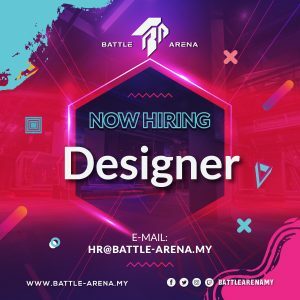 Send us your Creative Portfolio & CV to hr@battle-arena.my with your recent photo!! !